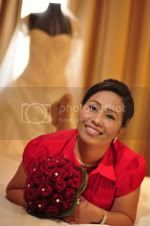 My Sweet Haven: A heartfelt gratitude as I bid adieu to 2008! I may have been a little late in blogging about the past year 2008 but I really feel the need to make a post about how fruitful my 2008 had been. It was the year when I started blogging and earn some dollars out of it. Jeff said he could recall the times when my face shone with excitement while I was telling him how much I’ve earned on a particular day. It’s not much actually especially that I didn’t have any page ranks and regular readers at that time. The friends that I gained and satisfaction that I got from blogging are what made me persevered. The income was slow but steady. After several months, I was able to save money to buy a laptop. Jeff didn’t want me to pay for everything so we shared the cost of my expensive lappy. As time goes by, blogging and EC dropping have become an addiction. It used to be just a hobby so as to ease away the boredom while I was jobless. Now that I am working and actually earning more than what blogging could give me, I could not do away with it. I am more picky right now with the topics that I blogged, but I still get a decent rate of opportunities especially now that my page rank went higher. I feel so blessed and I’m forever thankful to all my friends, especially Lou, who encouraged me and helped me while I was just starting. The past year was truly fruitful and memorable for me. My life is far from being perfect but the love and blessings that I got from hubby, family, friends and the ONE up above are overwhelming. I don’t believe in New Year’s resolutions but I strive to be a better wife to Jeff, a better daughter to my parents, a better sister and a better friend. Farewell 2008! 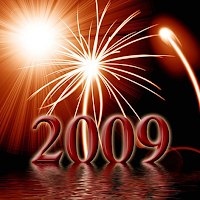 I welcome 2009 with anticipation for better things to come! Awwwww Jen, so sweet of you... I miss those phone calls...hopefully someday when we're both free we can call each other.